Stainless steel housed motor with a lot of torque to turn VERY large pieces of meat. Kit includes a 32 1/2" long spit, two 4-prong meat forks, motor, counter balance and brackets. 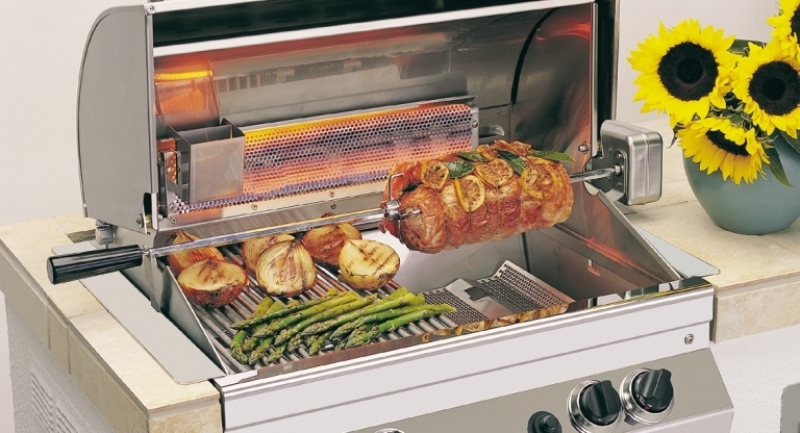 NOTE-The 3606G Heavy Duty rotisserie kit is included with Regal I and Regal II grills ordered with rear burners! Unit shown here is the Super Heavy Duty.